Sorry, this job expired on Nov 27, 2017. Below are other jobs that may be of interest to you. We are seeking applicants who are passionate, driven, and want to create a dining experience that is genuinely inviting for all guests. 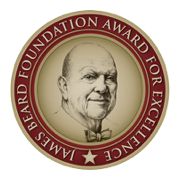 Must have at least 1 year of experience in full service dining. We are a cafe by day, casual fine dining & mixology focused cocktail & wine bar in the evening. Please be fully Bassett and ServSafe certified. Taste 222 is the storefront showcase of Cleveland Avenue headquarters, a venture capital and consulting firm that invests in remarkable food, beverage and restaurant concepts. 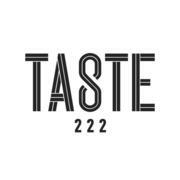 Taste 222 honors entrepreneurs by providing a supportive and experiential environment for their food and beverage creations. In addition to original offerings from our culinary team, Taste 222 features new products from entrepreneurs ranging from grab-and-go beverages to delectable desserts. The restaurant also gives other Cleveland Avenue business partners a retail venue to test new food and beverage concepts with consumers.